Hand crafted and poured in bronze or aluminum the registers in this collection are top-notch pieces. 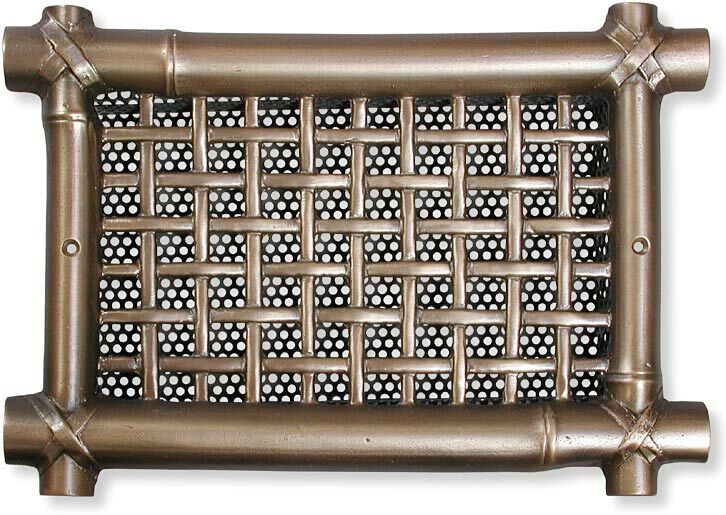 This beautiful and unique Bamboo Trellis grille is for wall use only and is available in 12 sizes. Specify with or without screw holes. You must make sure that you have ample room for the outside measurements of the grill. Lets just give a little example here. Your have a 6" by 10" duct opening. Of course you would order the 6" x 10" grille. But, that's not the whole story on these pieces of art air vents. 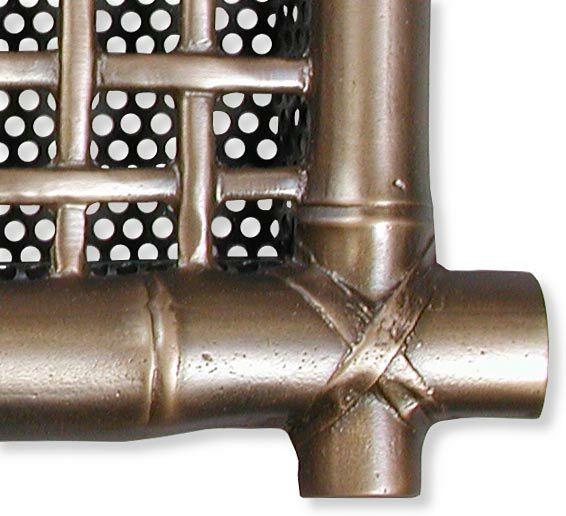 The overall measurements on the outside edges of this size grille are 9.5" x 13 1/3". So be sure and give yourself plenty of room to show off these mighty masterpieces!! Plus this size weighs about seven pounds - wow, that's bronze for you! This grill has a black perforated screen to balance the airflow and camouflage the background ducting. 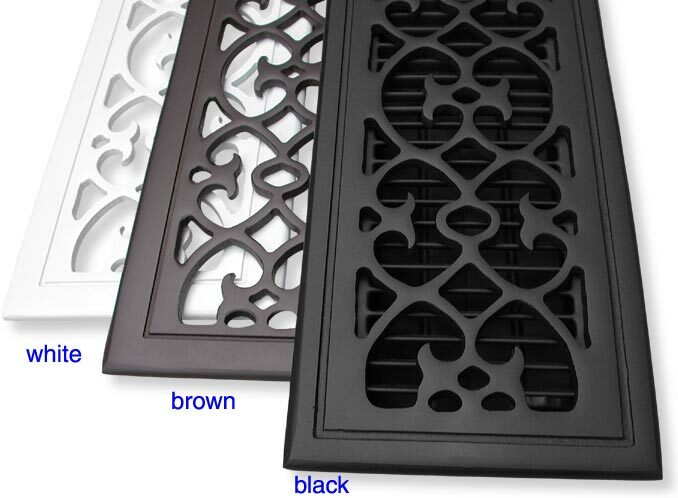 Choose dark or light oil rubbed bronze, brushed nickel, or burnished bronze. 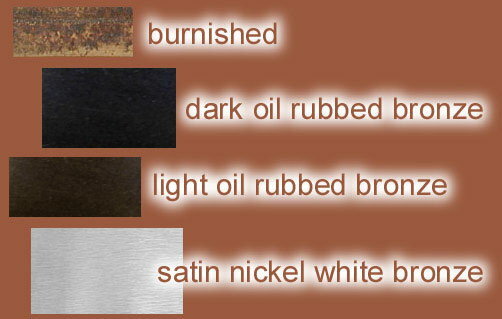 Aluminum comes in your choice of brown, black, or white paint. Dampers available in 14 inch sizes or smaller sizes. Available with damper, screen or plain.